Set amongst the coconut trees our beautiful beach front accommodation is found on Uoleva island in the heart of the Ha’apai group of islands in the Kingdom of Tonga. We have four ensuite guest fales that will have either two king single beds or a king bed. We also have a family fale with a king or two singles and a bunk bed for two others. Keeping in tradition with our beautiful remote island we have used as many natural timbers to create our stunning South Pacific hideaway. You will be captivated by our romantic soft diffused lighting, exquisite ensuite bathrooms with hot solar showers, top quality linen and bedding, memory foam mattresses on our oversized king size beds. Sit and watch the aqua blue water and whales passing on your own private verandah. For your comfort each fale has its own dedicated solar power system. 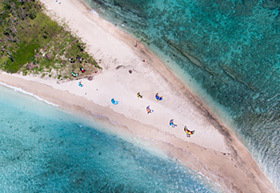 We pride ourselves at Kitesurf Tonga in being off the grid and harnessing natures energy to give you the comforts you require whilst still remaining way off the beaten track. Our fales are all beachfront and are on raised stilts to give you stunning elevated views. They are constructed entirely of timber including our beautiful exposed cedar roofs. Your accommodation will always remain comfortable no matter what the temperature is. We provide an all inclusive package here at Kitesurf Tonga. *Accommodation in our beautiful beach ensuite fales with solar warm showers. *Daily gear transfer to the point, and boat support if required. *Your rooms are cleaned every day and housekeeping is available. Our standard rate for 2019 is $150AUD per night per person based on twinshare. Our special rate for April & May is $135AUD per person per night based on twinshare. To confirm a booking we require a non refundable 20% deposit to secure your accommodation dates and the remaining balance 8 weeks prior to your visit. Further information on our terms and conditions please do not hesitate to contact us. **Transfers from Lifuka airport to Fanifo Lofa resort will be $35AUD per person each way, children are $20AUD per person each way. This will be payable to Fanifo Lofa during your stay. **If you would like to go to Lifuka for the day it will be $20AUD per person each way with a drop off in the morning and pick up in the afternoon – please note this will depend on availability of the boat. 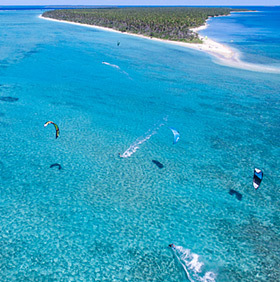 Enquire with Kitesurf Tonga today for package deals for groups. If you are a Kite School, Kitesurfing holiday groups, small groups, large groups let us know and we will be happy to accommodate you and find you the best group deal. Fanifo Lofa can book all your flights and accommodation on your behalf for a small fee of $40AUD per person. Please let us know if you would like us to do so. 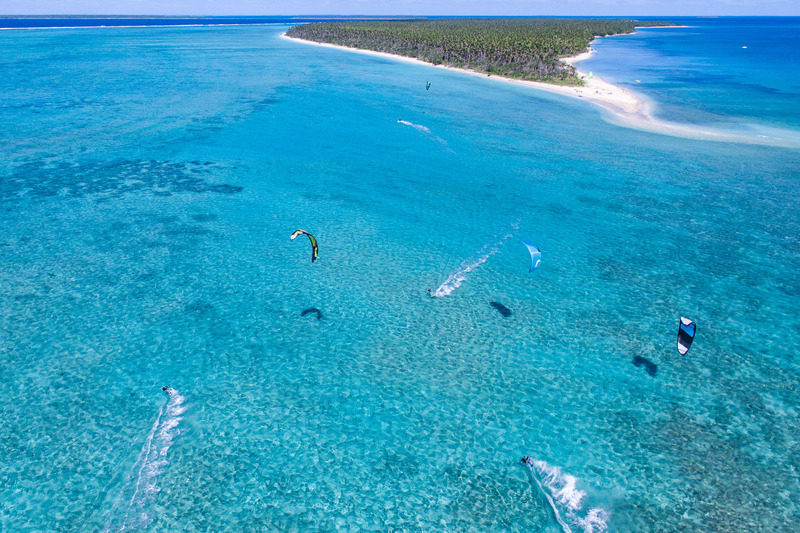 BOOK 6 guests or more and receive 1 free kitesurfing day safari – minimum 12 nights stay. BOOK 10 guests PAY for 9 – minimum stay 7 nights. **All current deals are effective for visits during April – May 2019 & November 2019 based on double or twin share. Only one current deal can be used in conjunction with your booking. Conditions apply. Being the only dedicated kitesurfing resort in Tonga we enjoy working closely with other kitesurfing centres overseas. We have tailored packages that are only available to kite centres. Please contact us at [email protected] to learn more about our holidays and packages that we can offer your kite centre. Please note this is available only to kitesurfing businesses. Kitesurf Tonga today.